Using CiviCRM 5.x and Drupal 7 on localhost. 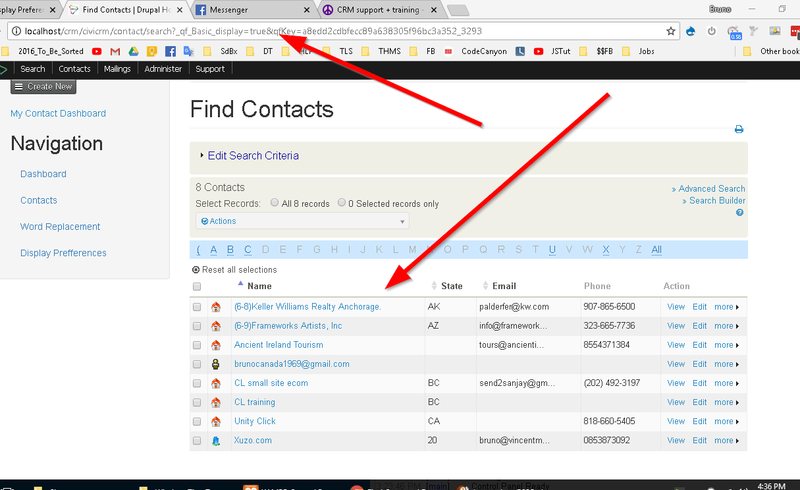 1- How to fetch URL that has a full lists of contacts. Right now I can copy they URL, but when I flush the cache the URL changes, so I would need something like Path Auto for this? You can configure profile to use as contact search. You can also control the result columns in profile search. To display contact result by default you can append force=1 in url. You can create smart group which holds all the contacts and use the contacts link from Manage group page to use as a url. 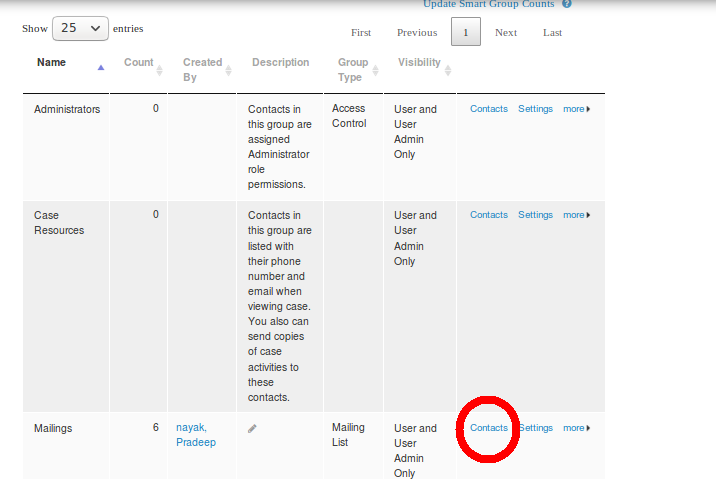 Use contact search url and apend force=1 to display contact by default. Answer part of your Question. Not the answer you're looking for? Browse other questions tagged profile search-results or ask your own question. How can I tell what the query that is executing when I do an Advanced Search looks like? How can I save Search results with preserving Views For Display Contacts (defined in Profile)? Why doesn't anything happen when I select a search action from the CiviCRM search results?